How would you rate your experience with Teddy's Bigger Burgers ? 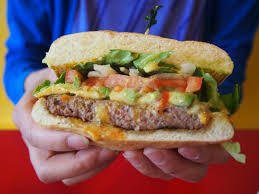 Teddy’s Bigger Burgers was founded in 16998 by Ted Tsakiris & Rich Stula. Longtime BBQ fanatics, Ted and Rich didn’t understand why other burger restaurants were so chintzy with the size of their burgers. Friends encouraged them to start their own business. The restaurant chain is known for it’s over the top burger and French fry sizes. 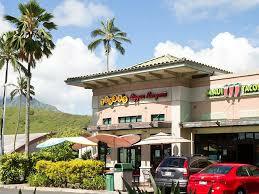 Starting off with one location in Honolulu, Hawaii, the chain now has 26 locations, some corporate owned and some franchises. In 2014, the company expanded to Texas and recently, the chain has gone international with new franchises opening in Thailand, Saudi Arabia, Japan, and the Philippines. In 2018, two teen-aged employees at a franchise in Hawaii made a video that went viral on social media showing what appears to be a dead rat being fried on the grill. The restaurant was immediately closed, sanitized, and the workers involved fired. The boys refuse to say whether the rat was real or not. The chain has had no problems with the health department, however, co-founder Ted Tsakiris says this prank has cost his company a minimum of $100k. Company headquarters are located in Honolulu, Hawaii. Question 1: What is the phone number for Teddy's Bigger Burgers? Answer 1: The phone number for Teddy's Bigger Burgers is (808) 926-3444. Question 2: Who is the CEO of Teddy's Bigger Burgers? Answer 2: The CEO of Teddy's Bigger Burgers is Ted Tsakiris. Question 3: Who founded Teddy's Bigger Burgers? Answer 3: Teddy's Bigger Burgers was founded by Ted Tsakiris & Rich Stula in 1998. Want to make sure Teddy's Bigger Burgers sees your comment or complaint?